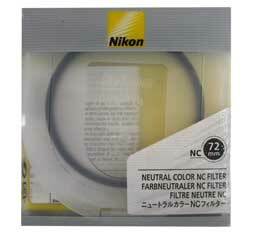 Since it has no effect on lens color balance (visible lights), this filter is optimal for use as a lens protector. Also, its multilayer coating prevents light reflection inside the glass, helping to ensure correct exposure. Can be used as a filter for general shooting situations. This filter is a 72mm thread size.